The ultimate photo finish? Our +200 year archival UV laminate as tested by the wilhelm-research, is now offered in matte, low gloss or satin. 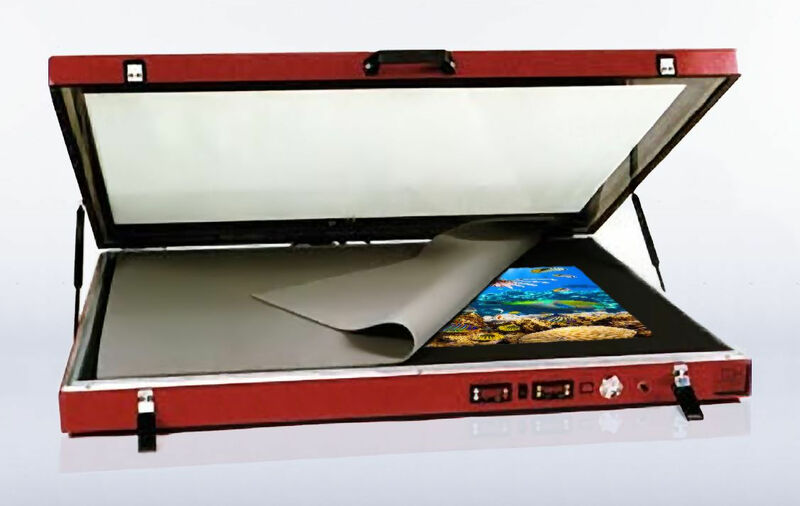 HDCanvas uses state-of-the-art hot vacuum presses for lamination to ensure that the protection goes deep into the canvas and has the even texture you expect from a canvas. 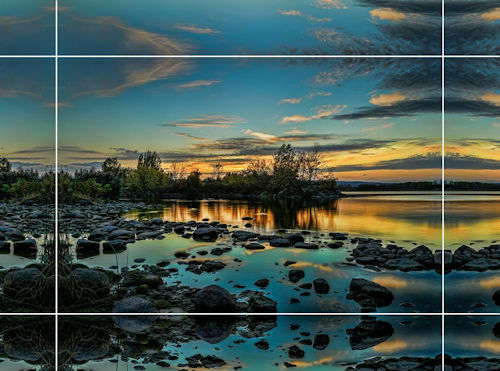 Just like an oil painting in a museum, your canvas photoart will last for generations. 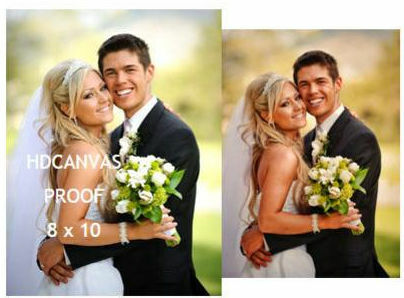 Be wary of canvas prints that are uncoated or protected with laquers as they will crack, fade and turn yellow over time! Is 100% matte, completely glare free you wont even see the sun reflecting in it. 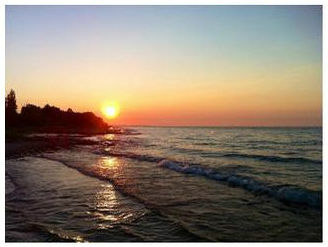 Is ok for extremely vibrant colors, regular photo’s will have a flat or dull colors. If that is the look you like, go for matte. Is a very low gloss and has minor glare but has no reflection, vibrant colors are still looking photo realistic. Can be hanged everywhere with some glare when looking at the canvas at large angles. To give your colors extra “pop” and have a photo realistic canvas that stands out, choose Satin Finish. If you notice some glare, try to change the angle of the canvas or hang it higher or lower. It does perform excellent with artificial light. Digital Proofs (FREE) a $10 value as charged by the other guys. Although we carefully check each image prior to creating it, if you want a digital proof before we start on your canvas photoart prints, let us know at checkout. 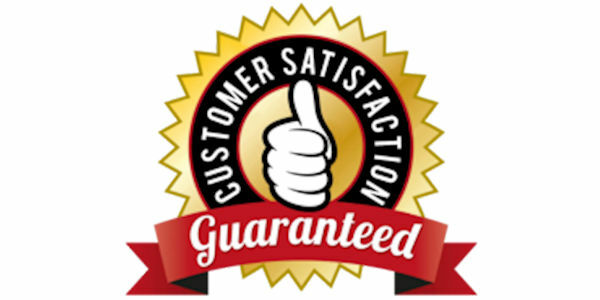 We also strive to ship every order out of the door within 4 to 6 days of receiving it. Hanging Hardware (FREE) A $10 to $15 value as charged by the other guys. 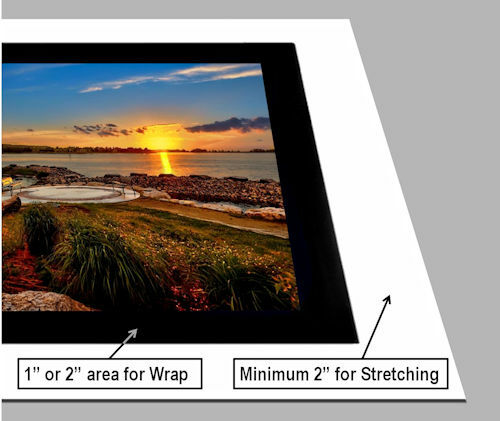 Every HDCanvas gallery wrap comes ready to hang on your wall straight out of the box. 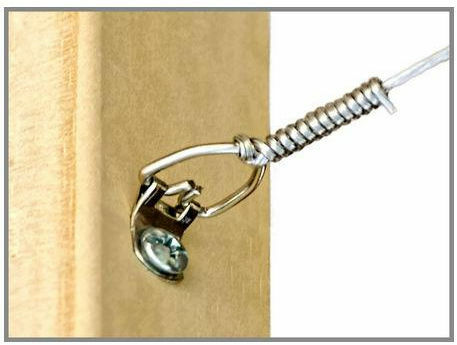 For hanging accessories we use heavy duty hanging wire assemblies for canvas wraps larger than 16″ x 20″ (40cm by 50cm) and sawtooth hangers for the smaller sizes. We mount the hanging wire inside the frame so it will never scratch your walls. The wire has also a protective coating so it will stay shiny for generations. 1.75″ Deep, extra sturdy and luxuriously looking on your wall, no need for a frame on this one. 0.75″ Deep Standard Frame. Does good on your wall by itself and can accept custom framing. A $2.00 Value and up. Imagine the extra cost for a 90″ x 44″ when ordering from the other guys. If you have the materials, tools and expertise and are planning on stretching and/or framing your own canvas prints, we’ll still give a customary minimum of 2 inch of additional unprinted margins on all four sides so you’ll have plenty of extra canvas to grab with your pliers. We offer standard sizes starting from 8″ x 8″ up to 90″ x 44″. If you require a custom dimension outside of our standard size options, add your request to the comment section of the order form. 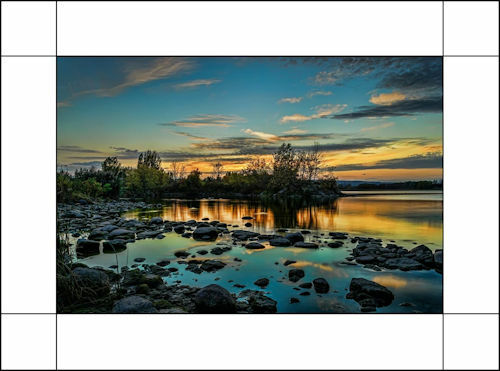 HDCanvas.ca prints unstretched canvas photoart for professional framers, photographers, interior designers and homemakers who love doing DIY Projects. Give your canvas prints a border treatment guaranteed to enhance the look or match the color of your wall. 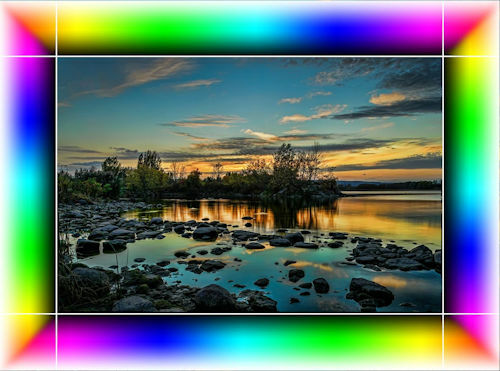 The gallery wrap option is the most popular, A gallery wrap is where the image continues around the sides of the canvas as shown on the left. 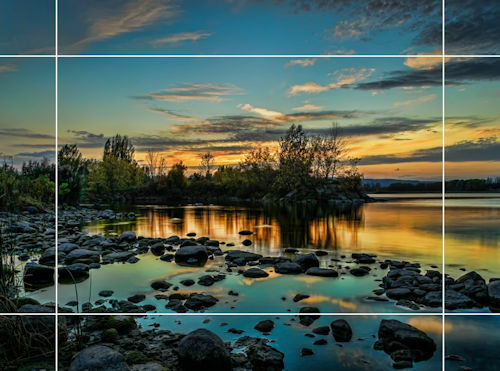 When choosing gallery wrap options is it important that there is no important content on the sides of your photo as this part of the image will be wrapped around the sides of the frame and not visible from the front. Best for larger canvases 24″ and up. A mirror image wrap for your your photo on canvas is a great alternative if you are after a gallery wrap but do not have the room within your photo. When one of our photo editors prepares your image for a mirror image wrap they will select approx. 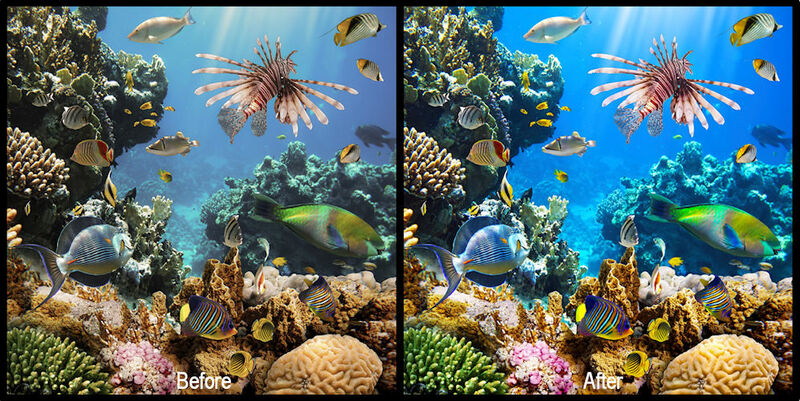 1″ or 2″ of the image and extend it out by the same distance as a mirror image of the original. It is a great way to get the gallery wrap without compromising photographic content. Black and White are the most popular. When you choose “Colored Borders”, we’ll apply any color you like to the edges of gallery wrapped canvas, just add the RGB values to the comment section of the order form. Perfect if you want the clean, modern look of solid color edges. 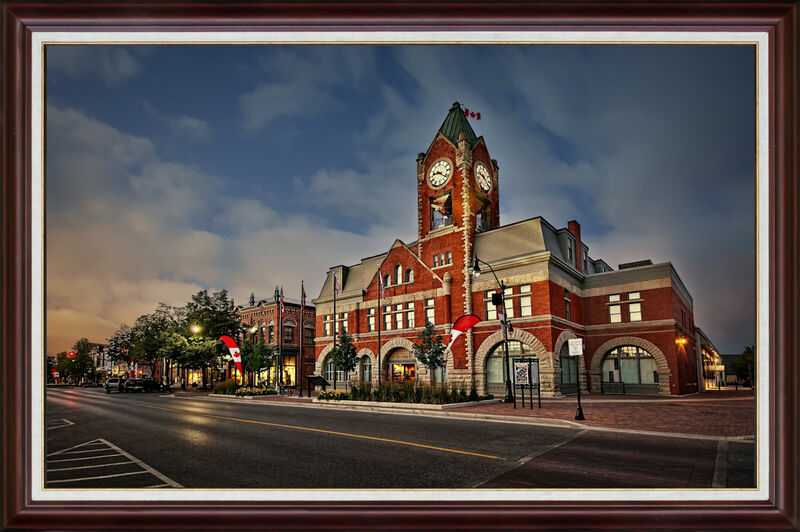 Upgrade your photo with a free basic photo retouching and photo enhancement, HDCanvas.ca is staffed by imaging experts that are at your disposal every time you order. Free removal of photo haters like red eye, date stamps and minor blemishes. Our basic photo retouching is not automated and is “a standard part of creating good-looking prints” to bring out the best of the image contained in your photo to the utmost degree. Our professional photographers adjust basic elements such as brightness, contrast, color and fix problems due to camera settings that cannot be entirely resolved solely through automatic adjustments. Enlarging Facebook, twitter and cellphone images? Yup we do that to, actually we can enlarge images the other guys can’t do and printed some at 24″ by 36″. We use a proprietary software for our enlargements. In some cases there is extreme pixelation that we expertly remove by time consuming retouching and carries an extra charge of $20. Don’t worry, if you have a small image that you would like to see enlarged just request a free image evaluation and include the print size you prefer using our contact us page. Don’t forget to upload your image for evaluation. 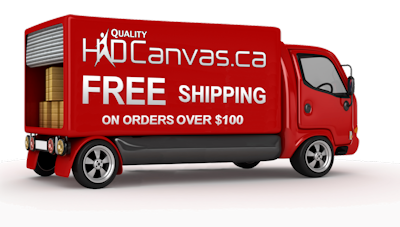 You do not have to be a pro photographer or artist to get this perk with HDCanvas, we can ship directly to your customers. 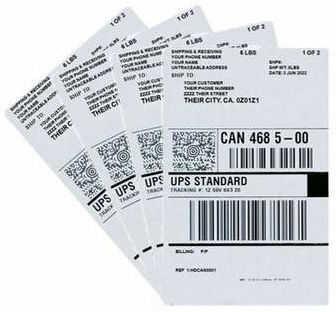 Your name, company name (if applicable), will appear on the shipping label of your orders shipping carton instead of ours. The return address will be an untraceable address, we cannot put your address on it due to legal requirements. Our branding won’t appear on the canvas stretcher frame, or any enclosed materials. 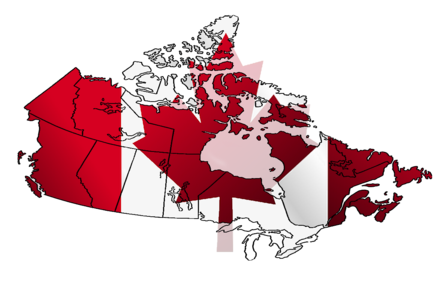 We’ll include promotional items such as Certificates of Authenticity, catalogs, brochures, invoices, packing slips or other items you supply. 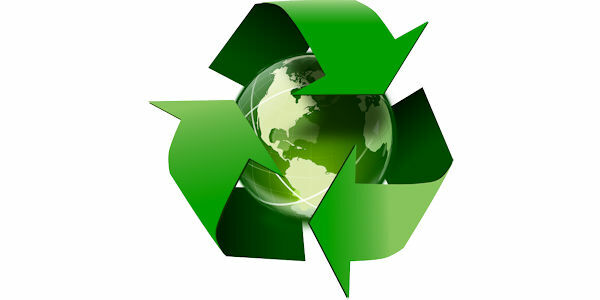 We’ll keep the materials you provide on file and include them with your shipments. All personal information is encrypted with Secure Socket Layer (SSL) protection. We never share your personal information with third parties. And we do not store your financial info. Im not a robot, please answer the question.